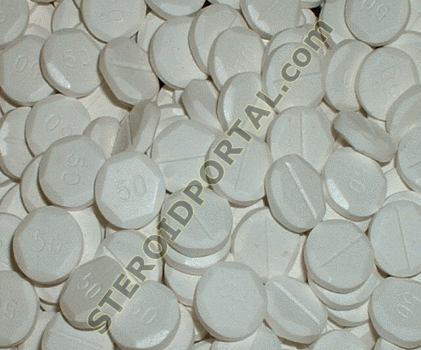 What's the success rate of clomifene citrate? Is clomifene citrate right for me? How long will I have to take clomifene citrate for? Does clomifene citrate have any side-effects? I have polycystic ovary syndrome. Will clomifene citrate work for me? Is there anything else I should know about clomifene citrate? Ovulation stimulation using clomifene citrate is a well-established, effective treatment (Brown et al 2009). Clomifene citrate is the most widely used of all fertility drugs. About 70 per cent of women will ovulate in response to a fairly low dose of clomifene citrate (Homburg 2005). Of those who ovulate, about 40 per cent will become pregnant (Homburg 2005). A low dose of clomifene may not be enough. Your doctor may increase the dose to help you conceive. Studies suggest that about 29 per cent of women who start taking the drug go on to have a live birth (NCCWCH 2013:147-8). Clomifene citrate is a recommended treatment for ovulation disorders caused by problems such as polycystic ovaries or polycystic ovary syndrome (NCCWCH 2013:18). It may be used on its own or in combination with another drug called metformin, which you take daily in several doses (NCCWCH 2013:147-8). It used to be used in some cases of unexplained infertility. However, it's no longer recommended for this, as there's a lack of evidence that it makes any difference compared to trying to get pregnant naturally (Hughes et al 2010, NCCWCH 2013:18). Clomifene citrate may also be used in cases of unexplained infertility (NCCWCH 2004: 58), although there's a lack of evidence that it really helps (Hughes et al 2010). You might be prescribed clomifene citrate before you undergo a fertility treatment such as intrauterine insemination (IUI), to boost your egg production (HFEA 2009a). You usually take clomifene in pill form for five days early in your cycle, for up to six months at a time (NCCWCH 2013:142,179). A low dose of 50 mg is often used to start with. If you have regular cycles, you'll start taking the pills within five days of your period starting, preferably on about day two. If you're not menstruating at all or if your cycle is very irregular, your doctor will check that you're not pregnant. She'll then give you a synthetic version of the hormone progesterone, a progestogen called Provera. Progesterone works with oestrogen to keep your reproductive cycle regular. Provera will re-establish your periods. Once you're having periods, you can then start taking clomifene citrate (BNF 2011). Ovulation generally occurs between five days and nine days after you've taken your last pill. Your fertility specialist may monitor your ovaries using ultrasound, at least during the first cycle (NCCWCH 2013: 180). She'll look to see how your ovaries are responding and whether one egg follicle or more is preparing to release a mature egg into one of your fallopian tubes. You might ovulate and conceive in the first month of taking clomifene citrate. Or it can take a month or two of drug therapy for you to start ovulating regularly. Unfortunately, some women don't respond to clomifene citrate at all. If you don't ovulate on low dose clomifene, your doctor may suggest increasing the dose over the next two months (NCCWCH 2013:142, 178). If you're still not ovulating at doses of 100 to 150 mg a day, then you'll be termed "clomifene resistant" (NCCWCH 2013:142). This can usually be identified within three monitored cycles, so ask your doctor what other drug or surgical options may be open to you. Clomifene citrate can also cause your cervical mucus to become drier, so you may want to use a sperm-friendly vaginal lubricant. Ovarian hyperstimulation syndrome (OHSS) is another potential side-effect of clomifene citrate (BNF 2011). OHSS occurs when you respond too well to fertility drugs and your ovaries become very swollen. Watch out for your tummy swelling up, giving you a full, bloated feeling. OHSS can develop into a serious condition. However, most cases of OHSS in response to clomifene citrate are mild and are resolved after a few days (Homburg 2005). Human chorionic gonadotrophin (hCG) is the main fertility drug thought to be responsible for severe cases of OHSS. This means that your chances of getting severe OHSS are increased if you're taking clomifene citrate with hCG. If you do develop severe OHSS, your doctor will monitor you closely (Balen 2008). If you have polycystic ovary syndrome (PCOS), there is a chance that clomifene citrate won't work for you. About 30 per cent of women with PCOS are resistant to clomifene citrate (Homburg 2005). This is more common if you have a body mass index (BMI) greater than 25. If that's the case, your doctor may recommend that you try to lose some weight before you even start taking clomifene (NCCWCH 2013:180). Getting nearer to your ideal weight may be just enough for you to start ovulating regularly. Your doctor may prescribe medication to help your body to respond to clomifene citrate. The medication is an insulin-sensitising drug called metformin. Metformin can help you respond to clomifene citrate and has been shown to increase your chances of ovulation and pregnancy (NCCWCH 2013:180, Tang et al 2012). There is a theory that clomifene citrate's anti-oestrogen effect may increase the risk of miscarriage. It's estimated that about one in five pregnancies conceived after treatment with clomifene citrate miscarry (Homburg 2005, NCCWCH 2013:149-58). However, this is a similar rate to that found in couples who haven't had any fertility treatment. There's been some ongoing concern that using clomifene citrate may be linked with ovarian cancer. However, reviews of the evidence haven't supported this (NCCWCH 2013:424-5). Findings suggest that it's the fertility problem itself that may increase the risk, rather than the drugs used to treat it. Drugs that stimulate ovulation can result in more than one egg being released. This increases your chance of multiple pregnancy, which is why ultrasound monitoring is recommended to check how strongly your ovaries respond to the drug (NCCWCH 2013:142). If you take clomifene citrate, you have about a one in 10 chance of a multiple pregnancy, most likely twins (Homburg 2005, NCCWCH 2013:142). Want to talk with others about taking fertility drugs? Go to BabyCentre's community.